As a fan of Japanese food and of Nuno Mendes' The Loft Project, few meals have excited me as much in prospect as Murakami's stint at this distinguished London supper club. A Japanese man, who adopted Brazil as home from the age of 3, "Mura", as he likes to be called, is the pioneer of Kappo cuisine in Brazil. 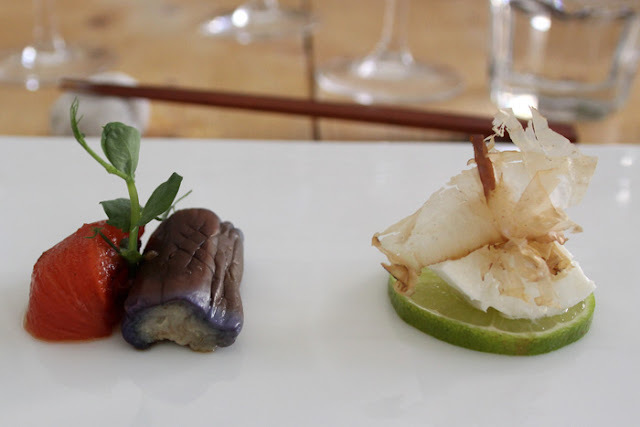 This is a style of Japanese haute cuisine using seasonal, often rare and exotic ingredients to create dishes that are light, simply cooked but highly sophisticated. In Japan, among the various styles of restaurants is Kappo, where fine cuisine is served "in the kitchen," as it were, with the chef and customers facing one another across a counter. Behind the counter, the chef prepares the dishes in front of his customers, so adding to the appreciation of the meal. Immediacy and intimacy are two of the main attributes that make Kappo cuisine unique - as each dish is completed, it is served directly across the counter eliminating any loss of the fine flavours and aromas that delays might otherwise cause. Customer and chef are face to face throughout the meal, facilitating conversation and the exchange of anecdotes and information on the best ingredients of the day. Brazil is home to the largest Japanese population outside of Japan, with around 1.5 million descendants, mostly located in the cultural hub city of São Paulo, so it is not a surprise that this city presents excellent Japanese food. Kinoshita restaurant was founded in 2008 by Murakami and restaurateur Marcelo Fernandes (also owner of Clos de Tapas and Mercearia do Francês, and former business partner at D.O.M., ranking 18th position in the World’s 50 Best Restaurants) and since then has won numerous accolades in Brazil. 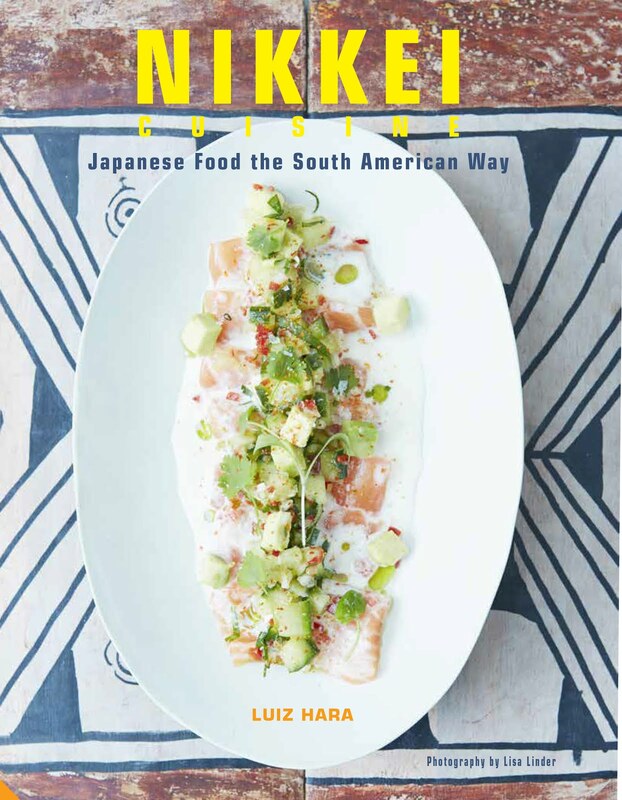 Charles Campion, in a special feature about São Paulo’s restaurants, wrote “if you want a benchmark, think Nobu, and were this restaurant in Europe it would certainly be Michelin starred” (The Guardian in 2009). 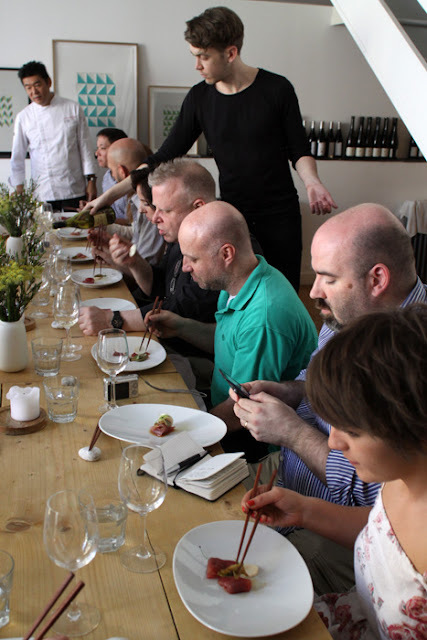 I was fortunate to meet Murakami and his team at The Loft Project on Saturday, 9th April 2011, and try his 10-course degustation menu "Omakase Kappo". The menu changes daily, and the one we had was only finalised a few hours before our arrival, as Murakami takes inspiration from the freshest and most seasonal produce he encounters each day. 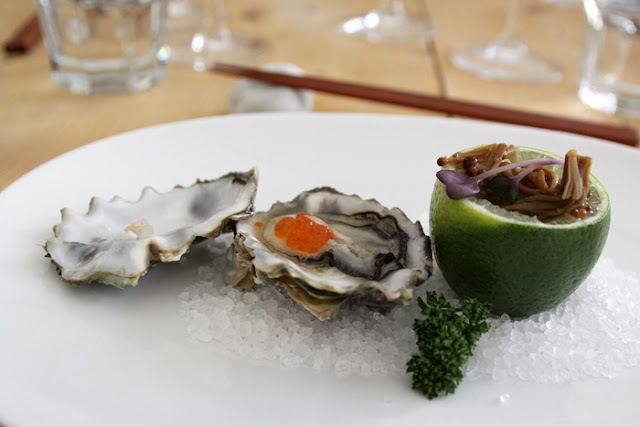 To kick off proceedings, we were served a dish of shucked oyster with Ikura (salmon caviar), Japanese Nameko mushrooms, lime juice, vintage soya sauce and micro shiso herb. This was a refreshing dish with an array of flavours and textures which I think would tantalise even the most jaded palate. To follow, Murakami served us a simple plate of chilli and salt fried tomato, Nasubi (thin Japanese aubergine) and the lightest, freshest Mozzarella cheese I remember tasting, covered in Katsuobushi shavings (bonito flakes). I was intrigued but pleasantly surprised by his interpretation of the popular Japanese Hiyayako dish commonly made with cold tofu. Mackerel and sea bass sashimi were next - these were finely sliced and ultra fresh, and served with freshly cooked Koshihikari rice (top quality Japanese rice from Niigata Prefecture) and a light vintage soya sauce. I was impressed by the beautiful presentation of his dishes, and our next was no exception - a large, raw scallop cut in half and topped with prawns, finely chopped cucumber tsukemono (Japanese pickle), olive oil, grated lemon rind, and flakes of sea salt. 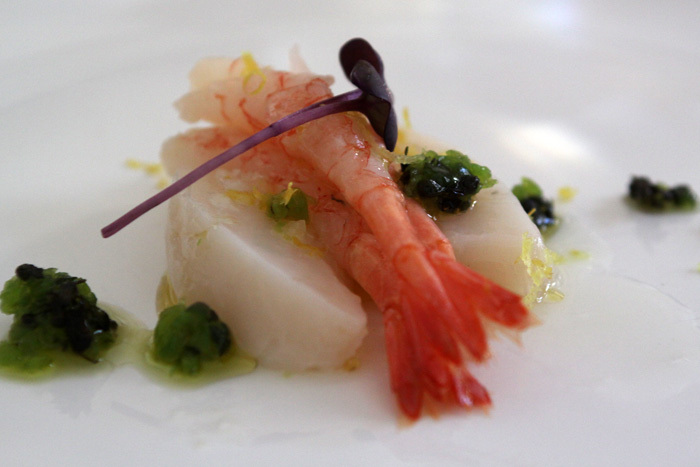 The delicious tartness and salt content of the Japanese pickle complemented the scallop and sweet prawn. This was followed by tuna sashimi filled with finely chopped capers and Umeboshi (Japanese pickled plum) and a thin slice of Yamaimo, a Japanese yam. Like his Mozzarella Hiyayako, I enjoyed Murakami's blending of traditional European and Japanese ingredients in this dish. Next we had one of the most intriguing dishes of our tasting menu - a combination of prawns cooked with Karashi (a type of Japanese mustard) served with a sweet miso sauce (made from fermented soya beans), quail egg yolk, green beans, wakame (seaweed), and purple shiso herb. Murakami's Wagyu Tataki Special, was, in my opinion, well deserving of its name - hand chopped, fine Australian wagyu beef mixed with Spanish Jamon, and served with a Yuzu (Japanese citrus fruit) dressing. This was a delicate but flavoursome number. Next up, Kinoshita's own Zaru Soba, was a refreshing dish of chilled soba noodles, in a delicious and cold tsuyu sauce made from concentrated dashi broth with dried daikon (Japanese white radish), sweetened soya sauce and mirin (sweetened sake). In this version, fine slices of okra and natto beans (fermented soya beans) added a layer of complexity to the dish. Natto beans are intriguing Japanese ingredients and some of most challenging for the Western palate. Made from soya beans fermented with bacillus subtilis (a type of bacteria), the beans have a powerful smell and flavour akin to aged and unpasteurised Brie rind, and a very slippery texture. They are normally eaten at breakfast on top of steamed white rice. Our soba dish was followed by deliciously tender, grilled Wagyu beef, marinated for three hours in miso which gave it a sweet and rich complexity, and served with an anchovy and mustard sauce. To end our meal, Murakami served us a simple but cooling dessert of lime sorbet, shiso, pineapple and yoghurt which in I thought was a fitting end to a very fine meal. In true Kappo style, I enjoyed the way Murakami presented his dishes, the amusing stories he had for each one of them, and the way he chatted, asked questions and showed genuine interest in his guests' feedback. To round off the event, we were treated to a Japanese rendition of the "The Lion King" theme tune by Murakami himself! These exchanges were undoubtedly a big part of the overall Murakami experience - one I hope to re-live at his Kinoshita Restaurant on my next trip to São Paulo or whenever he finds time for a return visit to London. Murakami’s restaurant “Kinoshita” can be found at Rua Jacques Felix 405, Vila Nova Conceição, São Paulo, Brazil. For reservations, call +55 (0) 11 3849 6940. A similar "Omakase Kappo" degustation menu at Kinoshita is priced at R$290 (£115 per person). 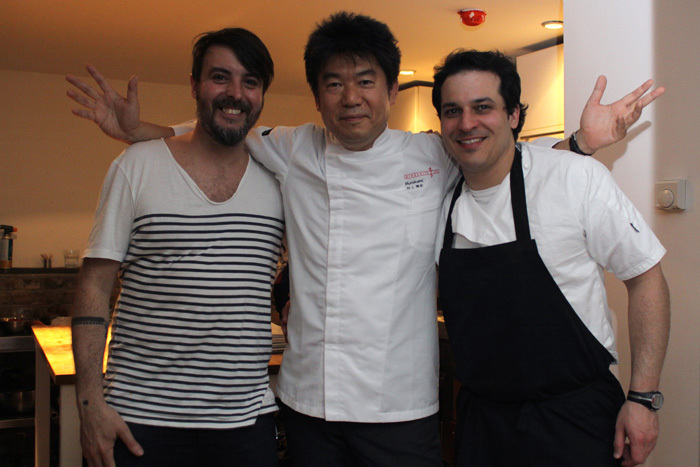 In 2011 Murakami was voted "Chef of the Year" by the prestigious Brazilian magazine Veja São Paulo, while Kinoshita was awarded" Best Japanese Restaurant" by Prazeres da Mesa magazine and Guia da Folha de São Paulo. 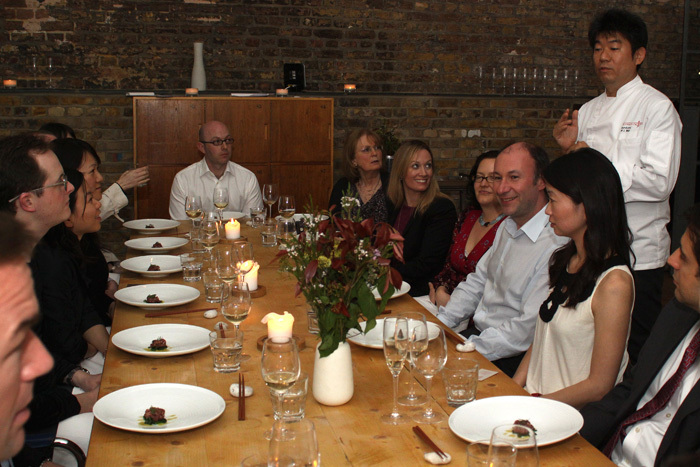 The London Foodie was a guest of Tsuyoshi Murakami at The Loft Project. Unless otherwise stated, all photographs by Ana Rojas. Oh! Oh! I *wish* I'd known about this - I would have loved to have come. 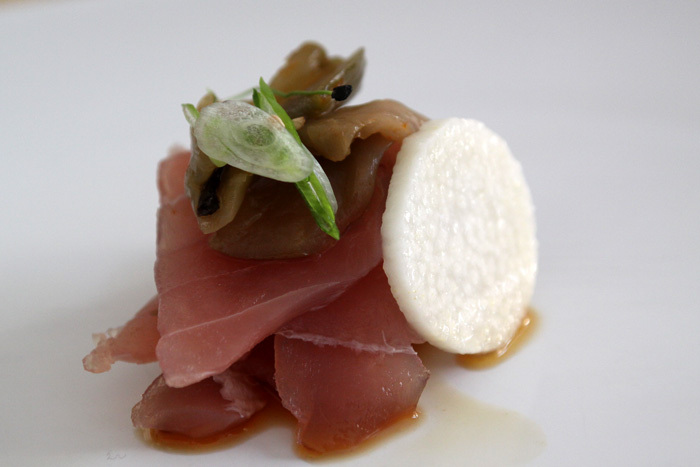 This looks incredible - as beautiful as kaiseki, even if it was served kappo style. That meal looks incredible! Extremely envious. 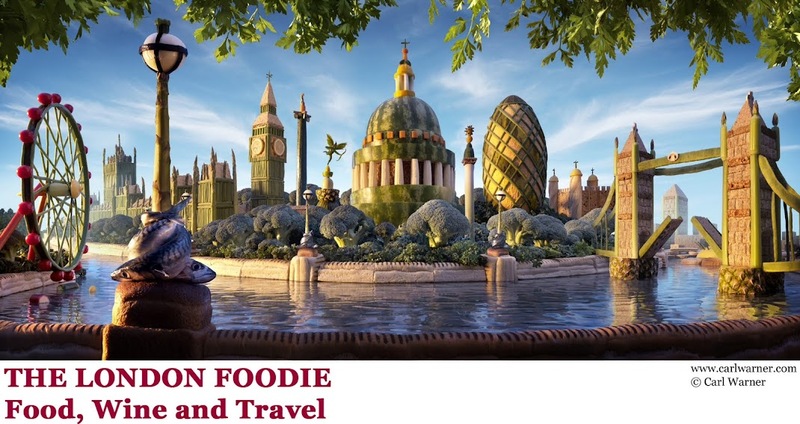 Would you say there's any restaurant in London that approaches this style of food? That looks and sounds stunning. I like the various flavour combos and it's a real visual feast. Are there any particularly Brazilian touches in there, or is this very Japanese?